Why envy a 5 star hotel room when you can convert your very bedroom into the den of lavishness. The House Of Things (THOT), an online destination to discover and shop luxury interiors online, has entered in the luxury furniture and decor market with the very idea of fulfilling such a promise. “We ourselves were faced with the lack of access living in a city served by unorganized flea markets and the internet only. We decided to explore this very limitation, and understand what in fact, isn’t out there. With this website, we hope to transform the tradition of taste making in a virtual world”, says THOT Founder Astha Khetan. THOT values the notion of individuality and pushes to cultivate an appreciation for finer tastes and facilitate access to a plethora of unique finds spanning varied categories and tastes. 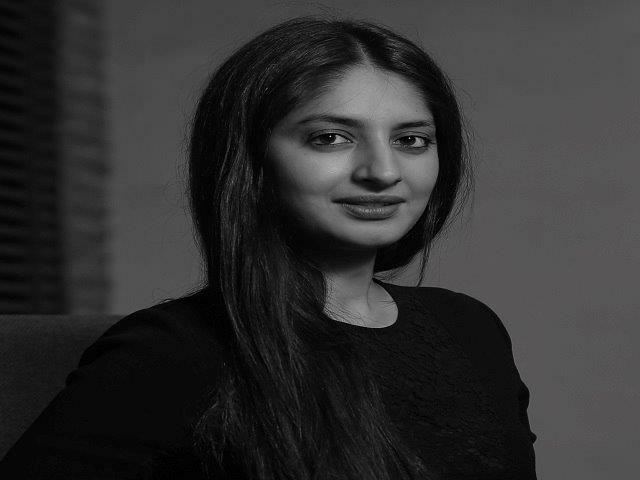 After graduating in marketing, I started with my work-life at a London-based digital media agency, then returned to India and joined Unilever, managing the company’s special projects. Currently based in Udaipur, I am focused on merging my professional background with my spirited love for handcraft, penchant for travel and my direct access to the artistic treasures of India’s most luxurious city. I aim to create a space for interaction between design talents and discerning lifestyle customers – a qualitatively curated gallery with a worldwide viewership. Born and raised in Udaipur, with a degree in marketing, Manan Khetan (Co-Founder) has always been surrounded by history and culture. An appreciation of quality and detail comes as second nature to him. In addition to spearheading his mining business, he is an avid patron of the arts and the prime supporter of our site. Closely connected with several artists, galleries and promoters all over the world, he facilitates our collaborations with leading experts from the industry. The initial period- the challenges & the ecstasy of quick wins! Being a start-up, of-course we faced many hiccups as there were surprises. The foremost challenge was putting our team together. We needed people who were business-minded and who were passionate enough about what we were doing to work for peanuts until the money situation got more comfortable. We worked with a lovely boutique firm who helped us design the site, which made the launch fairly smooth. However, launching the business ahead of the curve (we started almost 3.5 years ago, when buying luxury goods online was not so common) was bit of a challenge. Customers were not sure about buying decor objects, luxury interiors online. Our sales were initially very slow – however once someone got something from us they definitely came back for more. These repeat sales really boosted our confidence during the early days. So far it has been a journey of discovery and learning. Fabulous because of the wonderful, talented people we get to meet and the wonderful clients we have serviced. The primary differentiator with The House of Things was always to offer something beautiful, rare and inspired. One of the most successful strategies has been to develop collaborative products and artworks which are exclusive to The House Of Things. By virtue of exclusivity, it is difficult for people to find these products elsewhere. In the coming months we are coming out with special lines of furniture and accessories designed by some of the most talented designers in the country. Future seems quite promising and with the growing confidence in buyers to shop online, we see market expanding and maturing going forward. In line with our future plans we are launching the next version of our website for THOT by May 2017, which will offer a wider selection of products and specially furniture, along with additional services such as interior styling, trade benefits etc. We are gearing up to expand our bandwidth and cater to markets outside India as well. 2017 has lots in store for team THOT to explore. Our endeavour has always been to understand our target audience needs and offer an appropriate experience and that’s exactly where we see ourselves growing. The biggest moment was seeing my idea come to life. For an entrepreneur, there comes a moment when you wonder if your idea will really see the light of day. People discourage you sometimes; saying that quitting the corporate world to become an entrepreneur is a huge risk and not worth it. So when the website was launched, it felt a bit surreal; like my dream had finally come true. I was elated, of course. One always remembers the first milestone of their company. I remember the first order we received; it was 20 days after the website was launched. It was a set of Taamaa flamingos to a client in Mumbai. It was a vote of confidence that someone out there appreciated what we were offering. Thereafter the orders came streaming in and we knew we were on the right path. I of course celebrate achievements but I also make sure that I don’t become complacent. We need to keep pushing ourselves to do better. Two words - Aspirant Storyteller!